Viewing 24 of 991 items. Set of printed guest towels featuring two names with an ampersand design between the names. Typestyle only as shown. Your choice of guest towel color, imprint color, and positioning of..
Set of guest towels with your choice of napkin color and imprint color. Approximate size 4.5" x 8". Typestyle and positioning only as shown. Quality 3-ply guest towels you'll be proud to..
Set of paper guest towels with an elegant embossed design. Your personalization will be imprinted in your choice of imprint and guest towel color. Approximate size 4.5" x 8". Your choice of..
Set of personalized guest towels with a striped single initial positioned over your personalization. Your choice of guest towel color, positioning and imprint color. Quality 3-ply guest towels you'll..
Set of modern and trendy guest towels with your initials. You select the guest towel color, imprint color and positioning of imprint. Typestyle only as shown. Quality 3-ply thickness. Approximate size..
Set of quality guest towels with a rich moire finish. Set of guest towels with the personalization of your choice! Up to four short lines of text available. You select the guest towel color, imprint..
Set of printed guest towels featuring Three Initials. 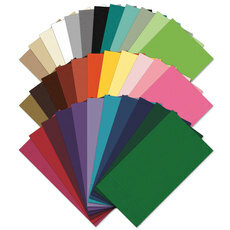 Your choice of napkin color and imprint color of personalization. Quality 3-ply guest towels you'll be proud to use or give. Approximate size..
Set of guest towels with your choice of napkin color, imprint color and positioning of imprint. Quality 3-ply thickness. Approximate size 4.5" x 8". Typestyle only as shown. Guest Towels are.. Guest towels are the perfect addition for your entertaining, whether at home or at a venue. They are most often used for brunches, luncheons, dinner celebrations, buffet meals, outdoor casual events like garden parties or BBQ events. They are large enough to nicely be used to enjoy a meal and they make a great presentation. We offer a number of types of guest towels starting with our lovely 3-ply quality guest towels which are made in the USA and available in many solid colors along with white. These are our basic guest towels and are a quality item perfect for most occasions. If you are looking for something more special, consider our delightful DeVille napkins which are the type of napkins and guest towels you will find at many country clubs and 5-star restaurants. Another fabulous option is our luxurious linen-like guest towels which are supremely thick and available in beautiful rich colors. We also offer a selection of the stylish Caspari guest towels which feature the quality and elegance of that brand. For an amazing presentation that is simply special, we also offer embossed Carte guest towels which feature a gorgeous embossed pattern on the entire guest towel and are available in gold, silver, copper, white and cream. From monograms to delightful designs and an extensive array of custom imprinting, printed guest towels is our specialty and you will love your finished product. We imprint to your specifications and offer great competitive pricing and attention to detail. From an extensive selection of imprint colors and typestyle, on most items you can view the finished design virtually on the order form so you be sure your guest towels are just perfect.